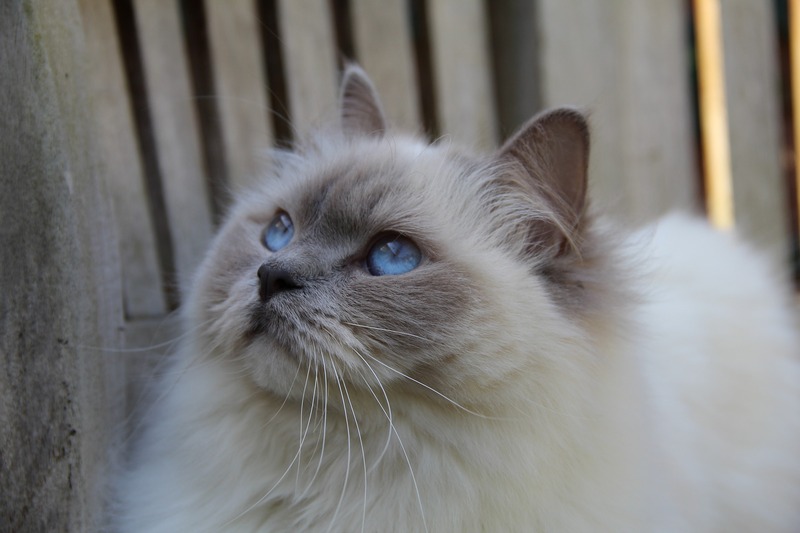 The Ragdolls captured my heart with their fabulous blue eyes and amazing gentle nature. Their luxuriously soft fluffy coats whilst sharing the look of a Persian do not need as much maintenance as most long-haired cats and their bodies going limp as a Ragdoll when you pick them up fascinates me. Our cats come from Champion Blood Lines, free of genetic and hereditary disease, and have a health guarantee. Our Ragdolls are our pets and we take pride in our breeders which come from reputable catteries free from genetic disease and are the homes of champions, Our kitties personalities and health is top priority. 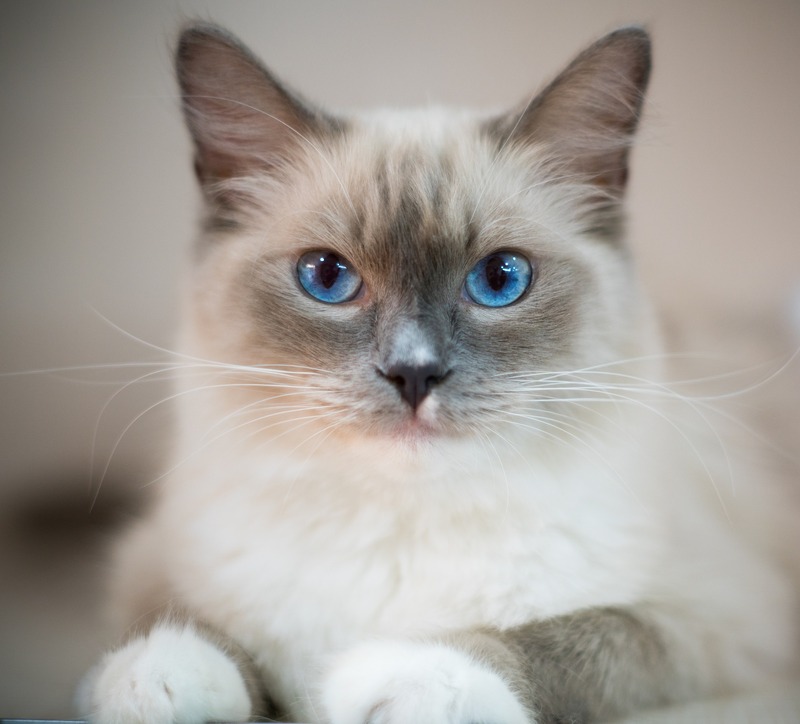 Cats were always a part of our family, including those we adopted from the shelters over the years, but when we got to know a Ragdoll, we could not help ourselves and fell in love with the breed, as I am sure you will also. 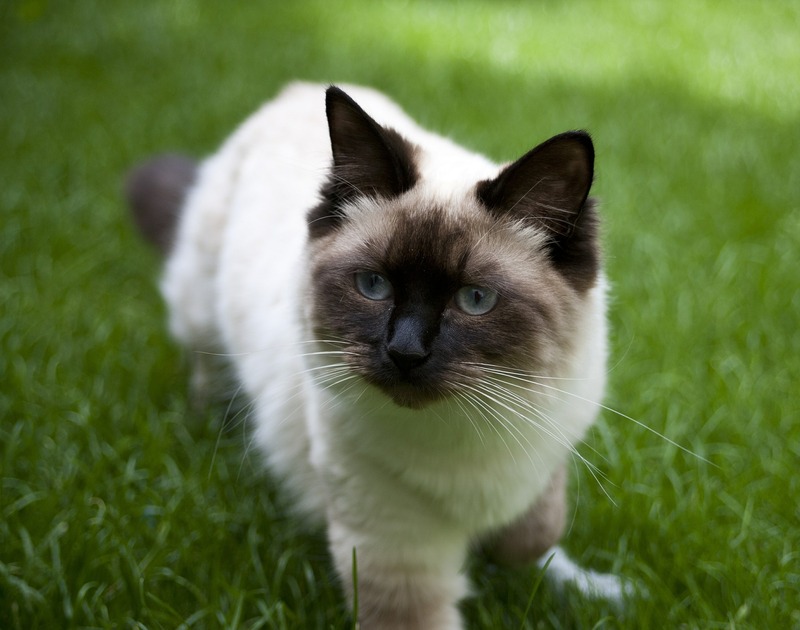 Ragdolls are large, laid-back, semi longhaired cats with captivating blue eyes. The Ragdoll is a pointed breed, which means that the body is lighter in color than the points (the face, legs, tail and ears). The Ragdoll cat is carefully bred to produce large affectionate animals in three patterns, two with white (mitted and bi-color) and one with no white (colorpoint). The ideal Ragdoll is a well balanced cat, with no extreme features. Altered males will usually top the scale at 9 to 10 kilos; females are proportionately smaller and usually weigh between 4.5 to 6.5 kilos at maturity. 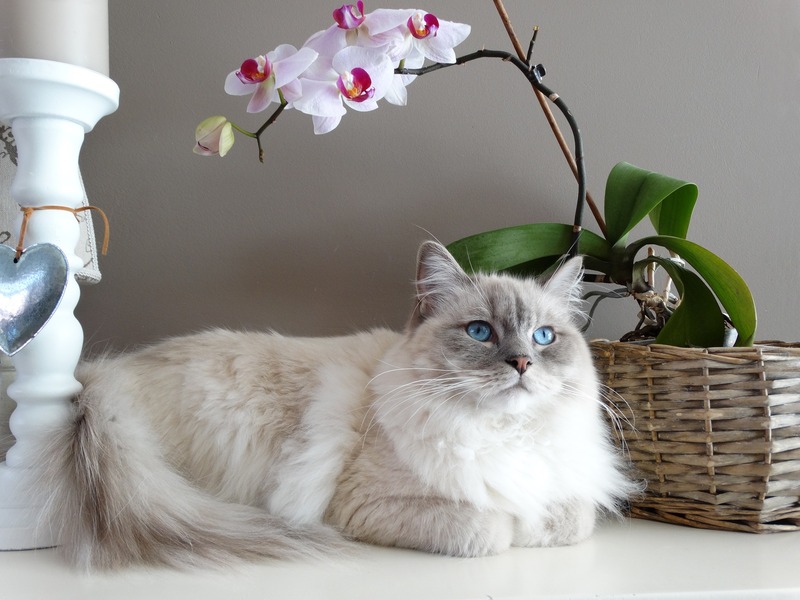 Ragdolls are slow-maturing, reaching full coat color at two years, and full size and weight at four. Ragdoll cats tend to be more interested in humans than some breeds of cats. They are known to run to greet you at the door, follow you from room to room, flop on you, sleep with you, and generally choose to be where you are. Many Ragdolls have been taught to come when called and play fetch. They are gentle cats, and usually play without extending their claws. Ragdolls tend to be floor cats, not jumpers. The Ragdoll’s semi long coat is plush and silky, and requires minimal grooming to keep it looking its best. They should be combed with a steel comb on a regular basis to find and remove any loose hair or tangles. Quality coats consist mainly of long, soft guard hairs. Ragdolls, just like all breeds of cats, will shed, usually with the change of seasons.The absence of the thick, dense, insulating undercoats results in reduced shedding and matting. In all, Ragdolls are well behaved, and easy to care for – perfect for our modern, busy, lifestyles. The Ragdoll loves to be cuddled and is much more accepting than many cats of being carried around in his owner’s arms. The large, affectionate Ragdoll goes limp with pleasure when you cuddle him in your arms, the trait that led to his name. He’s a big kitty, with males ranging up to 20 pounds, females slightly smaller, starting at 10 pounds and going up to 15 pounds. If a dog is “man’s best friend,” then it must also be said that Ragdoll cats are “man’s best companion.” More than pets, ragdoll’s are true companions. The Ragdoll cat has many special features. The Ragdoll’s sweet temperament is probably its most outstanding trait. Ragdoll’s are large, bulky and handsome cats. They have been commonly referred to as “the gentle giants” – because in spite of their handsomeness and grace, they are extremely even-tempered and docile. Ragdoll cats charm their owners with funny, as well as tender moments. The character traits of this breed alone makes it special! However, the physical aspects, build, and “looks” of the breed will further impress your fancy. Originally, as the Ragdoll breed was introduced to us by Ann Baker, it consisted of 3 distinct color patterns. Since then, through careful consideration and monitored breeding, the breed expanded. 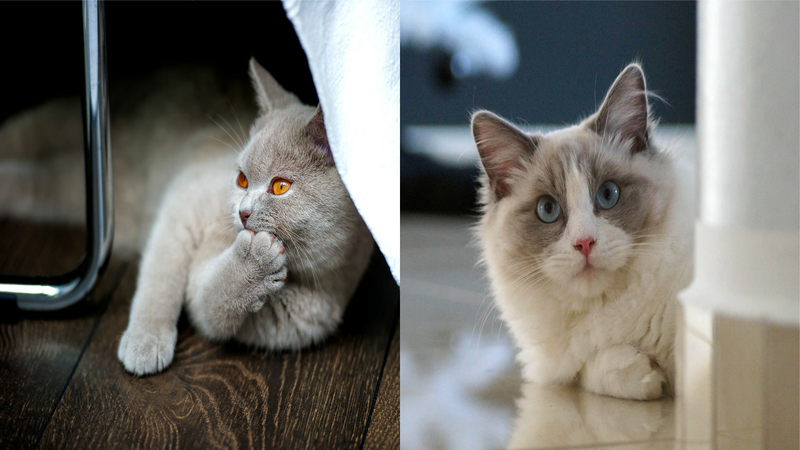 All Ragdoll’s have blue eyes. Ragdoll’s now come in the any of the following 6 colors: Seal Point, Blue Point, Chocolate Point, Lilac Point, Red Point, and Cream Point. They are loving, placid and easy-going, quiet cats. Ragdoll’s love being with people. This makes them excellent companions for children and adults alike! Ragdoll’s are not “fighter” cats. They view any on-comer as a loving entity. For this reason, Ragdoll’s are strictly indoor cats. retrieving toys, loyalty to its owner, following you around everywhere, attention to what you are doing all the time and being very devoted to you.